I wish more game critics had played Halo 4. More specifically, I wish I felt like the people who complain about Halo were at least paying attention to it when they last played it. But it seems like everyone has been taking that particular complaint about Chief’s personality at face value ever since it was made, leaving me feeling like I’m screaming into an empty room. But what about Halo 4? Brendan Keogh wrote an article this week, linked from Critical Distance, about how AAA games are pretty ham-handed when they discuss major, heavy themes. Generally, I agree. But what about Halo 4? I thought, reading over the article. It’s not mentioned. Nobody expects anything like that from Halo. Before being hired by Microsoft I wrote this post about Halo 4 that I think nobody read or else maybe they read but didn’t agree or it was just making an argument that nobody wanted to hear. 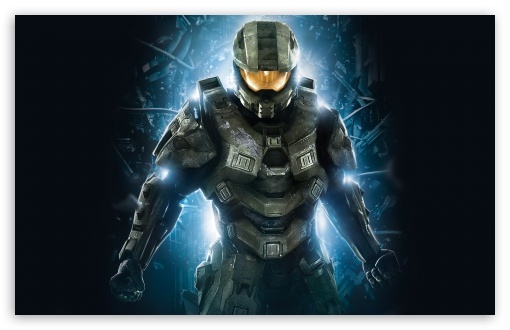 See they already made the game about how Master Chief is a bit too stoic and needs to maybe open up a little bit and then they called that game Halo 4. It’s in Halo 4! It’s not buried in an extended universe novel or something from a fan-fic. In the talk given by Burch and Wiseman, they show a very small clip from the end of Halo 4. It’s very strategic. Homework for game critics: watch the entire ending. If you do, you will actually see Chief vulnerable, and see that one stoic line he delivers about a soldier’s duty is his way of really quite poorly covering what it means for him to mourn. It’s beautifully done, and it’s weird that most everyone who talks about Halo seems to miss this nuance. Maybe Halo 4 was ultimately too subtle in showing Chief’s vulnerability, but the only way to really show this for a hero like Chief is not to change him all at once, but to slowly dismantle his armor piece by piece. As they do, in the clip. Of course I guess the only other observant critical article I found about Halo 4 recently doesn’t like that Halo 4 made Master Chief more vulnerable and mortal. So I guess Chief is going to be a punching bag no matter what. He’s under so much scrutiny to be perfect for everyone that he’s becoming a metaphor for himself: hey Chief, be the perfect hero for everyone, in real life like you have to be in fiction. In that case, a new hero in Halo 5 is totally the right move, something to relieve some of the pressure on Chief to live up to everyone’s impossible standards. Please note that I do work for Microsoft now and I make my Cortana in my phone call me Chief. Sorry if this post sounds like a fangirl rant. For the argument detailed in a subtler way, read my other, pre-Microsoft, piece.